Less than a week left behind to E-File your Pro-rated Form 2290! Hello there truckers, were here now with yet another HVUT deadline reminder for you. Earlier, as we informed you that Form 2290 is due now for vehicles first used since December 2017 as the Federal law states that a Form 2290 must be filed on a vehicle by the last day of the month following the month of its first use. On that basis, Jan 31, 2018 will be the due date to E-File your Form 2290 for vehicles which you were been using on the road since Dec 17. 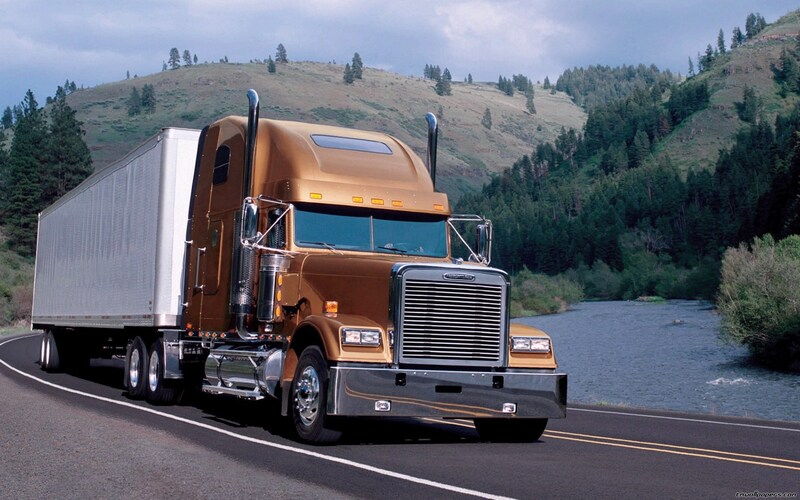 Determine if your truck is a Taxable Vehicle or Suspended vehicle. Determine the Gross weight of the vehicle that needs to be reported on Form 2290. Taxable vehicle: If your truck would exceed 5000 miles for the Period beginning Dec 1st, 2017 through June 30th, 2018, then your truck is classified to be a Taxable vehicle, for which you are required to make a pro-rated tax due amount to the IRS for the above mentioned period. The tax amount varies among the gross weight of the vehicle. Suspended vehicle: If your truck is expected to be used under 5000 miles for the Period beginning Dec 1st, 2017 through June 30th, 2018, then your truck is classified to be a Suspended vehicle, in other word an Exempt vehicle for which you’re not required to make any tax payment however, you need to report the vehicle over a Form 2290 under Suspended Vehicle to claim an exemption for the reported period. When we talk about the taxable gross weight, it includes the weight of the Tractor+ Trailer+ the maximum Load carried. To put that into simple perspective, you can simply ask yourself, what would be the maximum carrying weight on my equipment in lbs? Got an answer? Well then enter the same on the website during your E-Filing process so our inbuilt tax calculator would do the computation part by itself on your behalf. Soon after you e-file your tax return, it takes about 30 minutes before you may expect a response back from the IRS. However, Should you have any more questions than this, Please feel free to reach our support team @ (347) 515-2290 [9 A.M through 5 P.M, Central Standard Time including weekends and all major federal holidays] or write us: support@truckdues.com or Live chat with our support team for instant help. This entry was posted in 2290 e-file, HVUT 2017 -2018, Truck Tax Online and tagged 2290 e file, Agriculture Vehicle, American Trucking, can form 2290 be efiled, can you e-file form 2290, e file form 2290 irs, e file heavy highway vehicle use tax return, e-file for form 2290 excise tax filers, e-file-Form-2290, e-filing your form 2290, ein, federal heavy highway vehicle use tax, Form 2290, Form 2290 Amendment, form 2290 application, form 2290 category w, form 2290 contact number, form 2290 download, form 2290 due, form 2290 e file providers, form 2290 exemption, form 2290 explained, form 2290 extension, form 2290 federal excise tax, form 2290 filing date, form 2290 heavy highway vehicle use tax return instructions, form 2290 heavy highway vehicles, form 2290 help, form 2290 highway use tax, form 2290 instructions 2017, form 2290 irs online, form 2290 july 2017, form 2290 late penalty, form 2290 renewal, heavy duty truck tax, heavy goods vehicle tax bands, heavy goods vehicle tax rates, heavy highway motor vehicle use tax, heavy highway vehicle tax, heavy highway vehicle tax 2290, heavy highway vehicle tax form 2290, heavy highway vehicle tax return, heavy highway vehicle tax return form 2290, heavy highway vehicle use tax, heavy highway vehicle use tax contact, heavy highway vehicle use tax deductible, heavy highway vehicle use tax due date, heavy highway vehicle use tax e file, heavy highway vehicle use tax efile, heavy highway vehicle use tax exemption, heavy highway vehicle use tax form, heavy highway vehicle use tax information, heavy highway vehicle use tax mailing address, heavy highway vehicle use tax online, heavy highway vehicle use tax phone number, heavy highway vehicle use tax refund, heavy highway vehicle use tax return, heavy highway vehicle use tax return address, heavy highway vehicle use tax return due date, heavy highway vehicle use tax return form 2290, heavy highway vehicle use tax return instructions, heavy highway vehicle use tax return online, heavy highway vehicle use ttax instructions, heavy truck excise tax, heavy truck fuel tax, heavy truck highway tax, heavy truck highway use tax, heavy truck road tax, heavy truck road use tax, Heavy Truck Tax, HEAVY TRUCK TAX 2290, heavy truck tax deduction 2017, heavy truck tax form, heavy truck tax irs, heavy truck tax write off heavy vehicle use tax online filing, heavy truck use tax, heavy vehicle excise tax, heavy vehicle fuel tax credit, heavy vehicle road tax, Heavy vehicle tax, heavy vehicle tax 2290, heavy vehicle tax break, heavy vehicle tax clearance hawaii, heavy vehicle tax credit, heavy vehicle tax credit 2017, heavy vehicle tax deduction 2017, heavy vehicle tax form 2290, heavy vehicle tax payment, Heavy Vehicle Use Tax, heavy vehicle use tax cost, heavy vehicle use tax due date, heavy vehicle use tax exemption, heavy vehicle use tax exemption form, heavy vehicle use tax fees, heavy vehicle use tax filing, heavy vehicle use tax form, heavy vehicle use tax instructions, heavy vehicle use tax online, heavy vehicle use tax questions, heavy vehicle use tax refund, heavy vehicle use tax return, heavy vehicle use tax return form 2290, heavy vehicle weight tax, how do i e file form 2290, how to e file form 2290, HVUT, hvut 2017, HVUT 2017 -2018, hvut 2290, hvut 2290 due date, hvut amount, hvut cost, hvut due date, hvut filing, hvut form 2290, hvut form 2290 instructions, hvut form 2290 online, hvut instructions, hvut tax, IRS, irs form 2290 contact number, irs form 2290 due date, irs form 2290 e file, irs form 2290 heavy highway vehicle use tax, irs form 2290 heavy highway vehicle use tax return, irs form 2290 instructions 2017, irs form 2290 mailing address, irs form 2290 online, irs form 2290 payment, irs form 2290 pdf, irs form 2290 questions, irs heavy highway vehicle use tax, irs heavy vehicle tax form, IRS watermark, is form 2290 filed annually, Late 2290, Late HVUT fees, Late HVUT payment, Owner Operators, pay heavy highway vehicle use tax online, pay heavy highway vehicle use tax return online, pay heavy vehicle tax online, semi truck tax deductions, semi truck tax depreciation, Truck Licensing, Truck Tags, truck tax online, Truck Tax Online 2290 e file, Truckers, Vehicle Identification Number, VIN Correction, what is a form 2290, what is heavy highway vehicle use tax, what is the heavy highway vehicle use tax, when is a 2290 form due, when is heavy highway vehicle use tax due, where to pay heavy highway vehicle use tax on January 26, 2018 by Truck Dues.